It is that time of the year, between October and December, white Water lilies can be found blooming in the rivers and canals of Kuraburi. 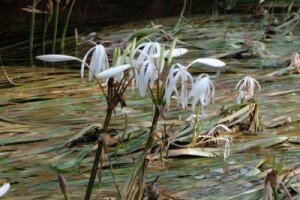 The Water lily (also known locally as “Yah Chong”) is very unique especially to the lower Ranong provinces in Thailand. I went there yesterday evening with three of Andaman Discoveries’ staff to witness this beautiful blossom. 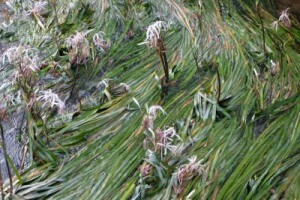 Water Lily has extremely long and delicate leaves. Sadly, these water lilies suffer serious threats from river dredging which is either to prevent flooding of the area in the future or collection for resale as aquarium plants. Thus, to avoid from endangering this endemic species, the government agencies, local authorities and local people formed a conservation group to protect its habitats, and now offer rafting excursions to raise public awareness of this beautiful plant.